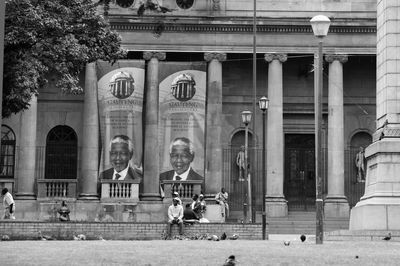 A photojournalist documents the famous, late, leader, Nelson Mandela and his resonance throughout South Africa, from where he was imprisoned to artwork on city walls. Mandela passed away on December 5, 2013. 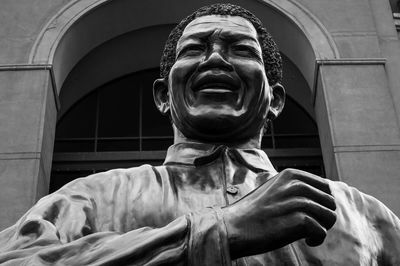 Statue of Nelson Mandela in building entrance. In every country he is revered by the population. 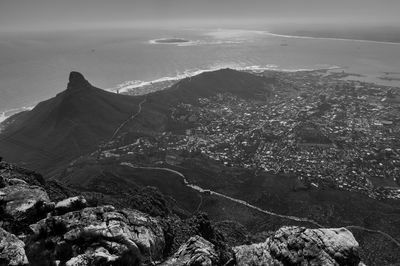 View from the High Table Mountain in Cape Town. The background Robben Island, where Nelson Mandela was imprisoned for much of his life. 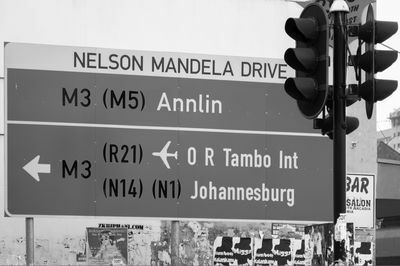 Road signs with the name of Nelson Mandela. Across the country, we see references to his name. 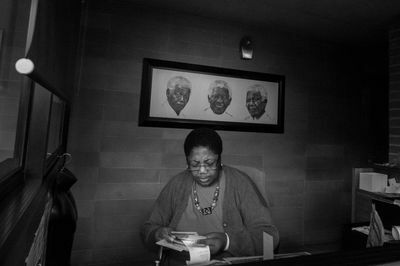 A woman is seen at the entrance of Nelson Mandela's old House in Soweto, Johannesburg, South Africa. 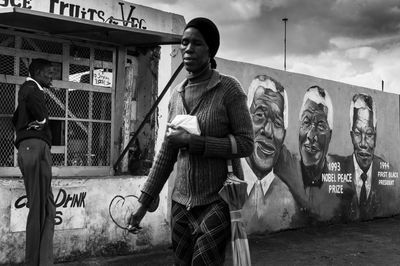 A resident walks past a mural of anti-apartheid icon Nelson Mandela in Soweto, where he once lived. Poster with the name of Nelson Mandela is hanging on a building in Pretoria. 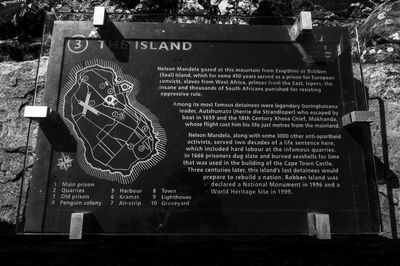 Plate with the map of Robben Island, where Nelson Mandela was imprisoned. 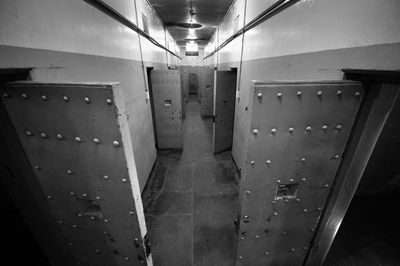 Complex cells of Constitution Hill, where Nelson Mandela was imprisoned. 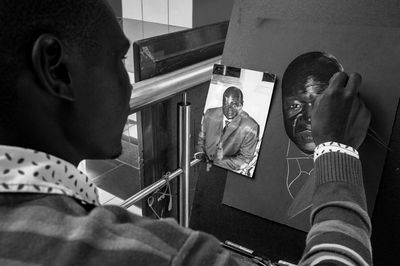 Artist paints a picture with the image of the President of South Africa Jacob Zuma. 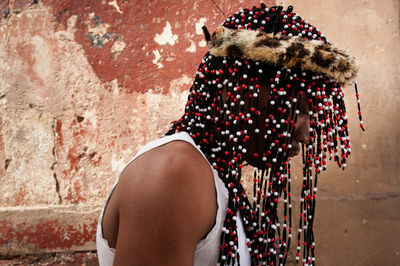 Zulu shaman walks down Constitution Hill complex. 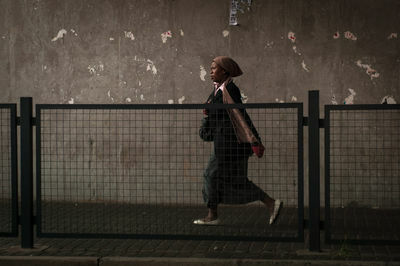 Woman walks through the streets of Pretoria, the capital of South Africa and where Nelson Mandela was hospitalized. 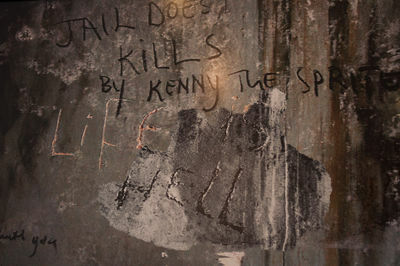 Constitution Hill housed prisoners until 1983, when it was closed. In 1995, the Constitutional Court justices began looking for a permanent location for the new Court. 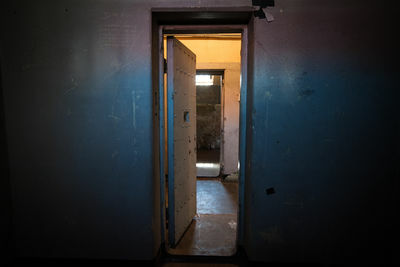 The dark heart of Constitution Hill Prison where Nelson Mandela was imprisoned in Johannesburg.